Grab a charm pack or your scrap bag. Add some texture to the fabrics using threads and “Texture Magic”. 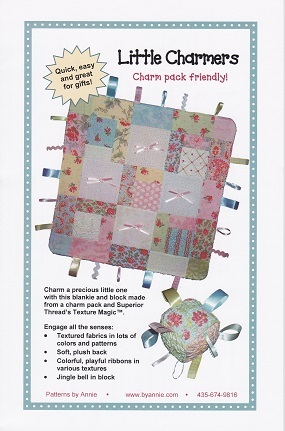 Then have fun making the engaging little block and matching blanke for a special baby.